For the first time in the last two years we have a 'normal' summit, which in itself is a breakthrough, because it allowed us to focus calmly on the problems. 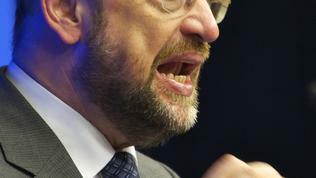 This is how Martin Schulz, President of the European Parliament, assessed the Spring European Council on 1 and 2 March. He, however, managed to use cleverly the 'calm' to put forward the European Parliament's requirements before the EU leaders more clearly and more firmly than ever. 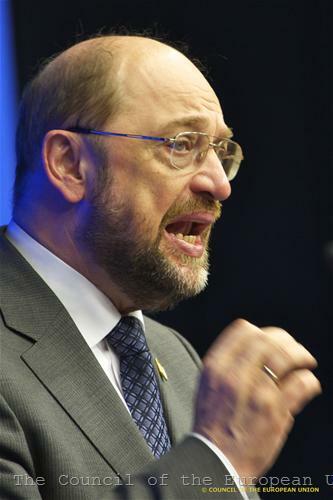 President Schultz told reporters that he had appealed directly to Dutch Prime Minister Mark Rutte regarding the anti-immigration website, supported by the Freedom Party of Geert Wilders. "I note with concern that stereotypes, prejudice and even scaremongering are once again coming to the fore in many parts of Europe," the president added. He said it was unacceptable to have a second class European citizens and the European leaders should express their stance against what was happening. "The EU is a community of values, and freedom of movement and non-discrimination are fundamental principles underpinning the European integration process." 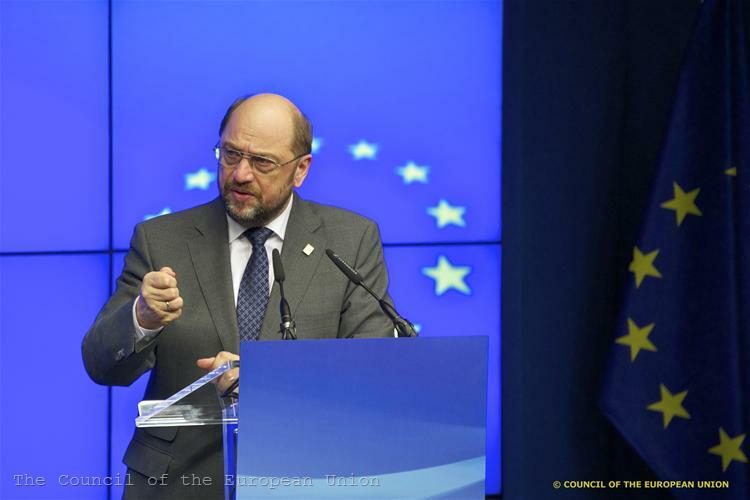 In this context, Martin Schulz stated before the summit his full support for Bulgaria`s and Romania`s accession to Schengen and granting Serbia a candidate country status. "Should decisions be taken not to grant Serbia candidate country status, and not to admit Romania and Bulgaria to the Schengen area, because individual states block them purely for reasons of political self-interest, then a Community in which the same rules apply to all will have been replaced by one in which the same rules apply to some - but not others." As you know, the Netherlands vetoed Bulgaria's and Romania's accession to the Schengen area because, according to the coalition agreement of the Dutch government, both countries must show progress in fighting corruption and organised crime. Romania even threatened to block Serbia being granted a candidate country status if the Netherlands did not soften its position on Schengen. 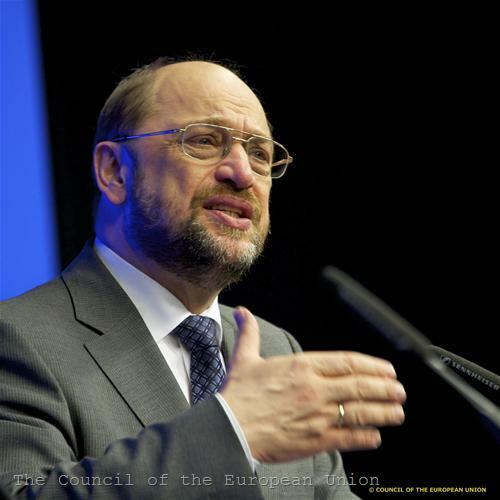 Before the EU leaders Martin Schulz also pointed out the need for coordination of economic policies at European level, as well as the importance of the European semester and the Annual Growth Survey. 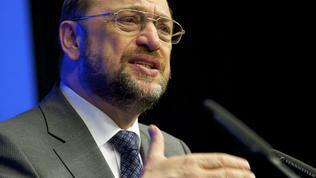 However, the European Parliament insisted on obtaining a role in this process. The European semester is the procedure for coordination and monitoring of budgetary and economic policies of the EU countries. It begins with the presentation of the Annual Growth Survey by the European Commission, which contains policy guidelines that member states must comply with. Within the semester member states submit to the Commission and the Council their budgets, national reform programmes and stability programmes (convergence programmes for countries outside the euro area). Each country receives recommendations, which they must comply with, and the implementation of these recommendations is again assessed by the Council and the Commission. What the European Parliament specifically wants is to be able to make changes in the policy guidelines in the Annual Growth Survey too: "The Commission should present a text and the European Parliament should be able to amend it before it goes to the Council." What is puzzling here, however, is not the Parliament`s request itself, but the motives behind it. 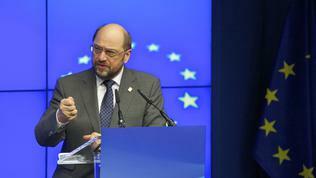 According to Martin Schulz there is "deparliamentarisation" of Europe, because member states must submit their budgets to the Commission six months before they are adopted by the national parliaments. "We feel that the rights in the area of accountability and scrutiny, which have been taken away from the national parliaments, must be handed back to the European Parliament without delay." It is not clear from Mr Schultz`s speech how giving new powers to the European Parliament will compensate the national parliaments, because neither the EP represents in any way the national parliaments (its members are directly elected by the citizens at European elections, separately from national parliamentary elections), nor its role in the European legislative process is the same as the role of the national parliaments at national level. Under the Lisbon Treaty, the national parliaments were given more powers in terms of EU legislation and the opportunity to participate more actively in the decision making process. Because of the debt crisis, another view has prevailed - that the European institutions and especially the Commission as an independent body should be given more powers over budget and economic policies of the member states. This provoked sharp debates over whether this way the national parliaments are not deprived of their last word on budgets. The topic was heatedly discussed at a joint meeting of members of the economic and budget committees in the European and national parliaments, which took place in Brussels on 27 and 28 February. Some national parliaments have already openly opposed to the new Commission`s proposals, aimed at strengthening budgetary surveillance in the euro area. Some MEPs fear that the enhanced role of the European Commission is not backed by the necessary democratic legitimacy, because the Commission is not elected directly by the citizens and in this sense – it does not represent their will. For its part, Brussels does criticise the member states for not applying European decisions at national level. As part of this discussion we cannot omit the tendency of depersonalisation of national parliaments in some Member States, where legislators have become entirely a function of the executive power. This is particularly visible in some new member states like Bulgaria and Hungary, but in the midst of crisis many parliaments have been simply forced by circumstances to support the urgent decisions taken by the national leaders. In this sense, the dialogue at European level between the national parliaments from individual member states and between them and the European Parliament can be a successful model for finding the lost (or at least, questioned) democratic legitimacy. Given the irreversibility of the direction of ever greater integration, perhaps the answer to all these dilemmas is in the vision outlined by German Chancellor Angela Merkel during the economic forum in Davos in January: Europe, as a political union, where the European Commission looks more like a government, the European Parliament is stronger and the Council (the national leaders) is a kind of a second chamber. To achieve this vision, however, the road toward it is crucially important, because in this case the aim does not justify the means. And this road still is unclear.